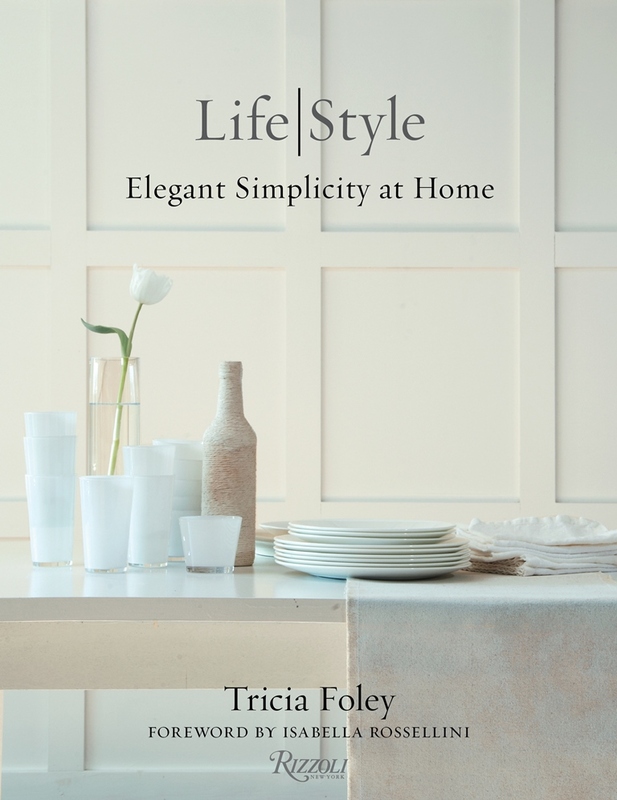 Life/Style: Elegant Simplicity at Home by Tricia Foley (Rizzoli). 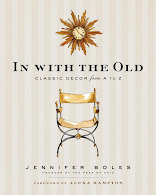 To be honest, I wasn't sure if I would find inspiration in Foley's book, which features the author's 18th-century Long Island farm house that has been decorated almost solely in atmospheric shades of white. 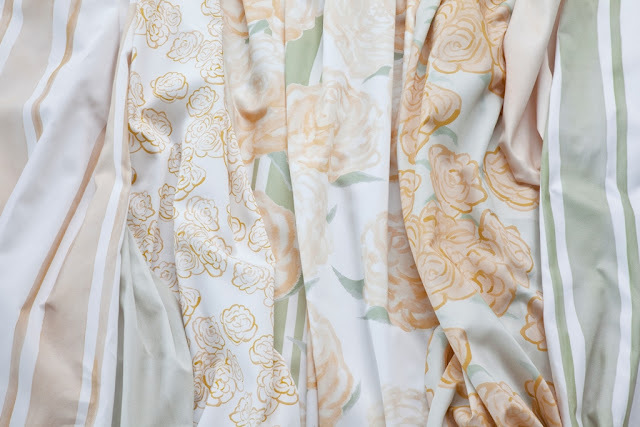 After all, I'm an unabashed lover of color who treats white as a utilitarian hue. But leave it Foley to convince me that there is poetic beauty in a home awash almost solely in white. In Foley's hands, white breaths life into her home's interiors, creating a dreamy elegance that would otherwise be obscured by bold colors. I might remain committed to color, but thanks to Foley, I now have great admiration for her compelling and inspiring point of view. 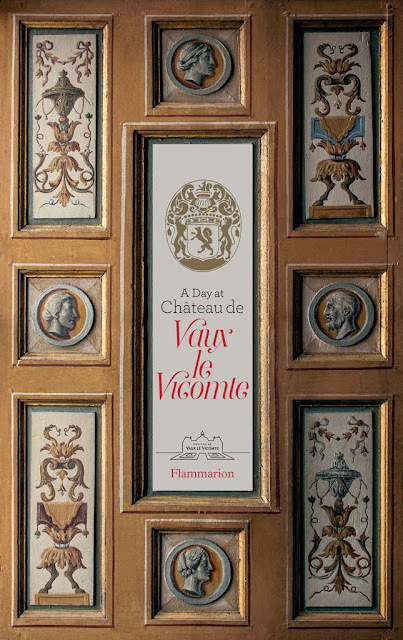 Ensconced in its elegant slipcase, this jewel of a book explores the history and the lore behind Vaux-le-Vicomte, the seventeenth-century French castle built by Nicolas Fouquet, finance minister to Louis XIV. The book's text is concise yet informative, while archival anecdotes are woven throughout the book to add further interest. But it's the book's enchanting photos that are the real draw here, giving readers a glimpse of Fouquet's magnificent creation. And for those of you who enjoyed the book, Decadent Desserts: Recipes from Chateau Vaux-le-Vicomte , you should consider adding the newer book to your library, especially since it also contains a few recipes that are served at Vaux-le-Vicomte. 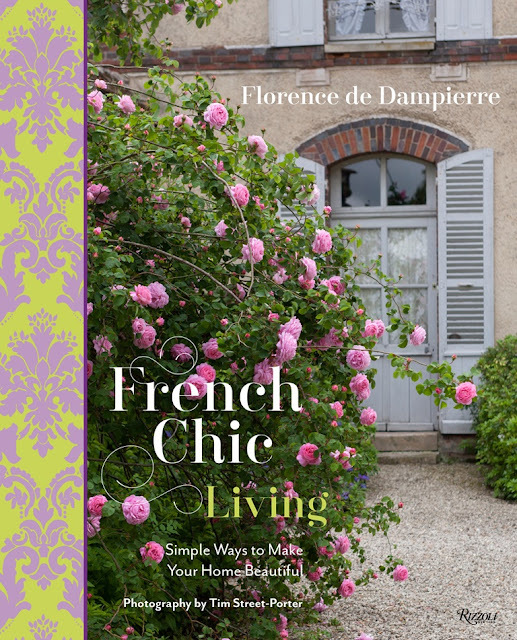 French Chic Living: Simple Ways to Make Your Home Beautiful by Florence de Dampierre (Rizzoli). When this new book arrived on my doorstep, I knew not what to expect. But what a pleasant surprise this book turned out to be. Dampierre's latest book is a charming how-to guide on l'art de vivre. As someone who finds pleasure and comfort in all things domestic, I thoroughly enjoyed reading about the French way of keeping house, from freshening carpets with damp tea leaves to cleaning crystal decanters with a mixture of baking soda, water, and dried eggshells. There are medicinal recipes in here as well as non-medicinal ones, including Rosehip Jelly and Kir Royale. And those of you with green thumbs will find plenty of tips on gardening and flower-arranging, too. This is a book you'll likely consult well into the future. 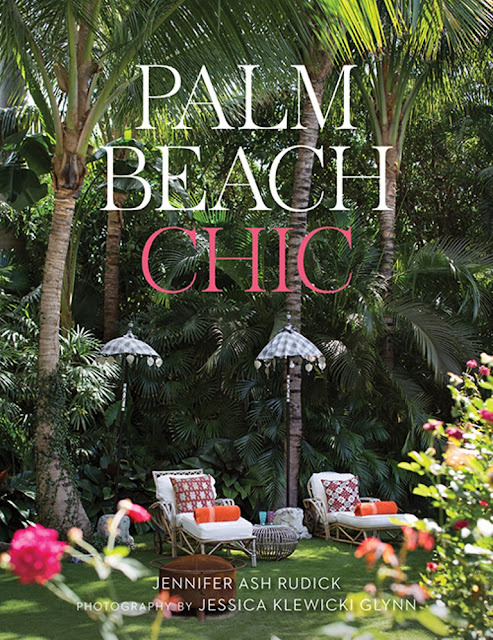 Palm Beach Chic by Jennifer Ash Rudick and Jessica Klewicki Glynn (photographer) (Vendome Press). There might be a number of books about the Palm Beach lifestyle, but Palm Beach Chic is one of the most interesting books on the subject to have been published in recent years. 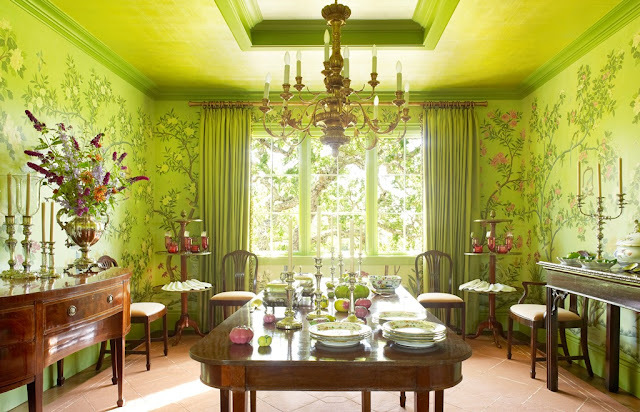 In her book, Rudick, who moved to Palm Beach as a child, profiles the homes of such Palm Beach stalwarts as Kathy and Billy Rayner, Terry Allen Kramer, and Pauline Pitt. For a book of this nature, it's all about the photos of enviable houses, and Rudick has done a nice job of featuring a stylish mix of them. 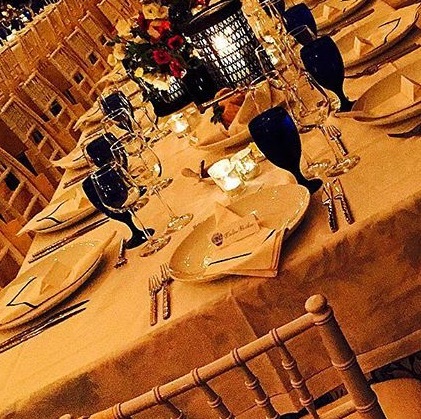 Some are traditional, others are lavish, and a few are downright quirky. But what I might have enjoyed even more were the historical tidbits about Palm Beach society that Rudick relayed throughout the book's text. If you enjoy connecting the dots between the grandees of the past and present, then this book is especially for you. After having seen numerous magazine articles profiling the design work of Carrier and Miller, I was pleased to be treated to a generous helping of it in this recently published monograph. Simply put, the book was a pleasure to peruse. 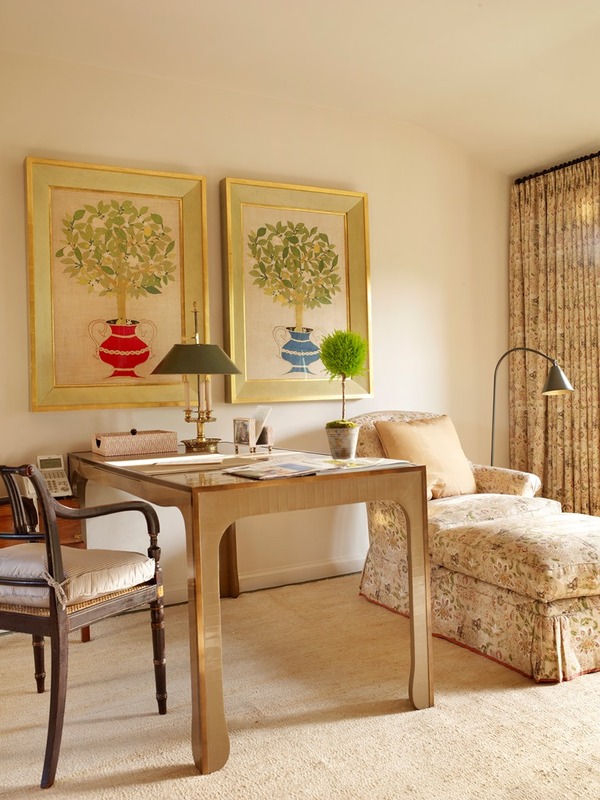 The featured interiors are, yes, positively chic, but they also display a relaxed elegance, too. 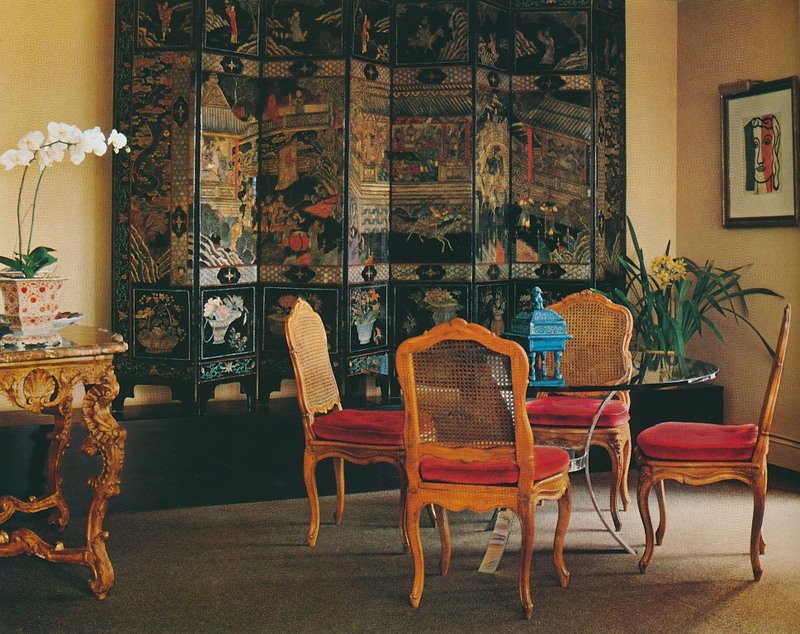 In a Carrier and Company-designed interior, everything- furniture, fabric, art- appears to feel at ease in their surroundings. This might be why I felt a sense of calm and contentment as I made my way through the book. Something else that is positively chic? The book's glossy red endpapers. Mrs. Howard, Room by Room by Phoebe Howard (Stewart, Tabori and Chang). Designer Phoebe Howard returns with Room by Room, her follow-up to her successful debut monograph, The Joy of Decorating. 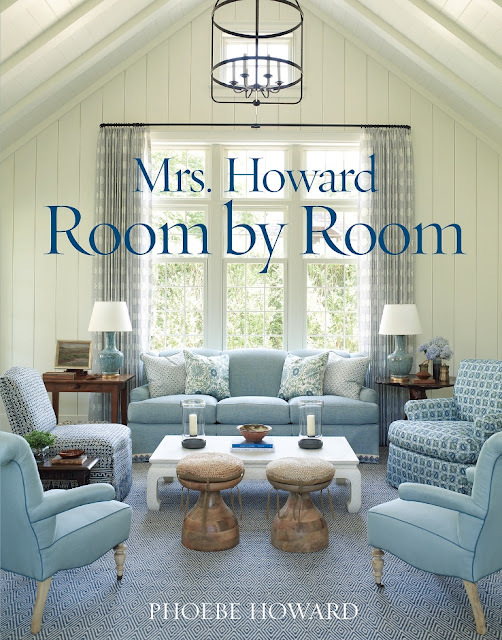 Organized by rooms, the book is chock-full of Howard's tailored, well-mannered style. There are libraries, living rooms, and dining rooms galore. 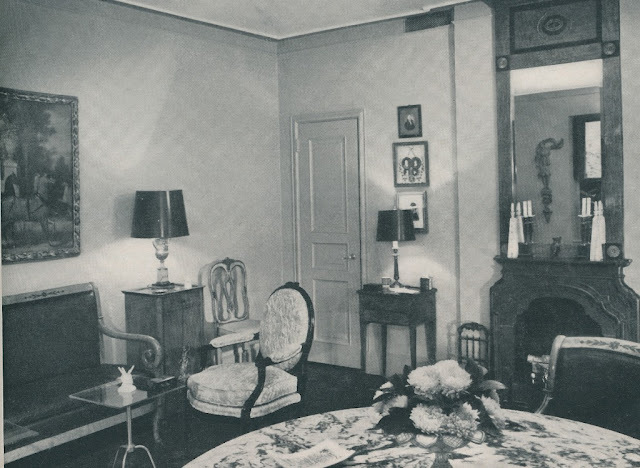 It was the photos of a few Howard-decorated Manhattan apartments that was a real discovery for me. Modern and slick, these apartments show that although her heart might lie in the traditional style, Howard seems comfortable in the contemporary idiom, too. And last, but certainly not least...Mark Hampton On Decorating by Mark Hampton (Potter Style). 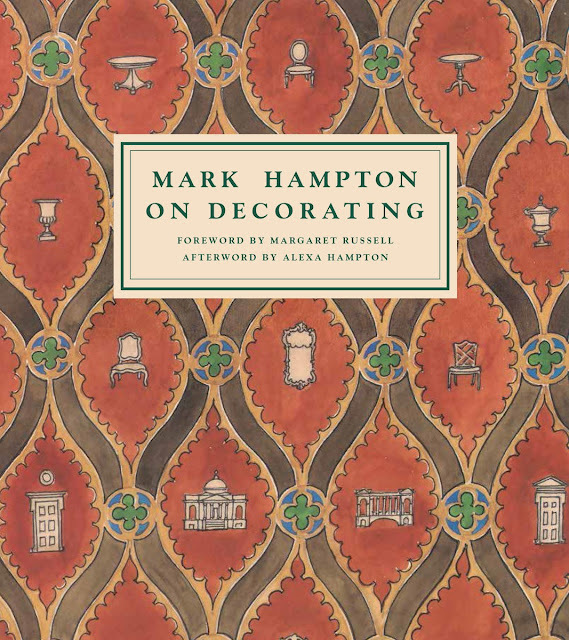 Hampton's masterpiece, which has thankfully been reissued by Potter Style, should be made required reading for anyone who works in the design field. The book's text and illustrations sparkle thanks to the design legend's wit and charm, but it is his erudition and discerning taste that make this gem the next best thing to design school. I have two published articles out on the newsstands this month, both about designers whom I greatly admire. 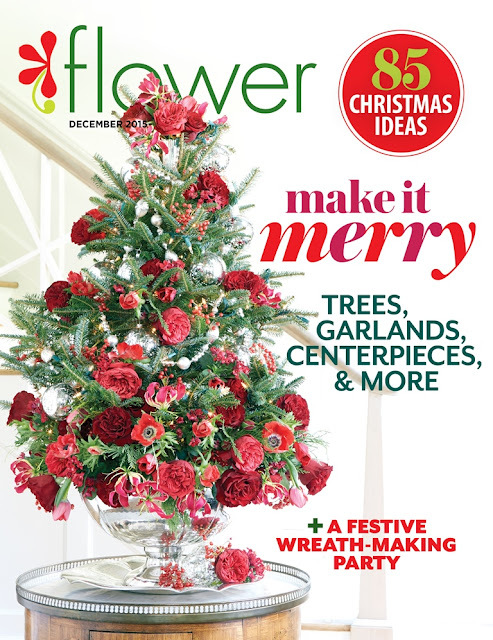 For the December issue of flower, I had the opportunity to write about Alex Papachristidis and his love of design, shopping, and Instagram. It's a fun article, if I do say so myself. 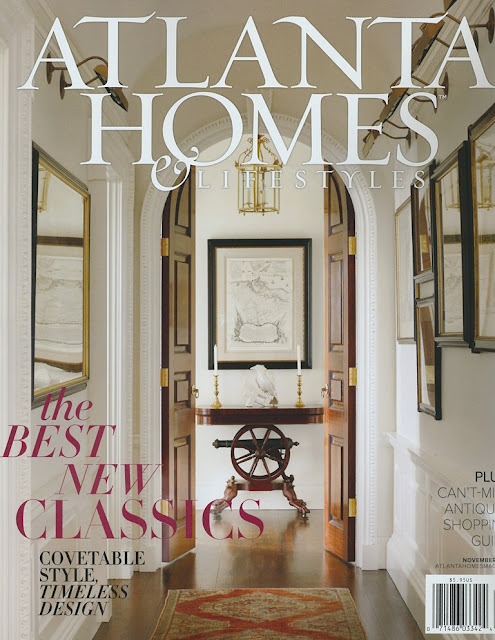 And in the November issue of Atlanta Homes & Lifestyles, I interviewed designer Stan Topol and discussed his work on a stylish farmhouse in Newnan, Georgia. 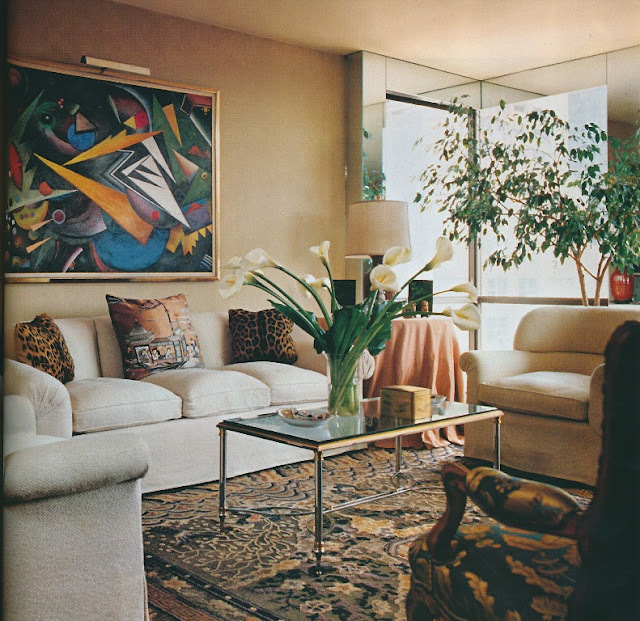 There is so much I want to say about this Chicago high-rise apartment, which was photographed for Architectural Digest in 1978. First, it was decorated by Bruce Gregga, whose work I have long admired. 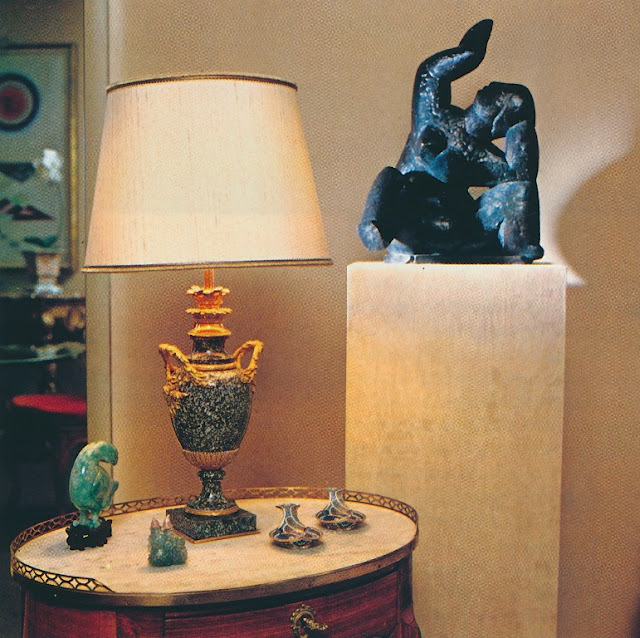 Gregga was adept at blending the old and the new, marrying traditional, high-style antiques with modern furnishings in a dignified, though visually rich, fashion. The article's author wrote this to describe the apartment's entrance hall: "the richness of the antique, the contemporary thrust of glass, the angularities of modern art." I believe that description could be applied to the rest of the apartment, too. The other thing that struck me about this apartment is how its architecture is so very similar to that of the high-rise where I live. There is a rigidity to this kind of late Sixties/early Seventies high-rise architecture. In these buildings, unembellished walls and expansive glass allow the focal point to be the view outdoors, which is usually the draw for most high-rise denizens. 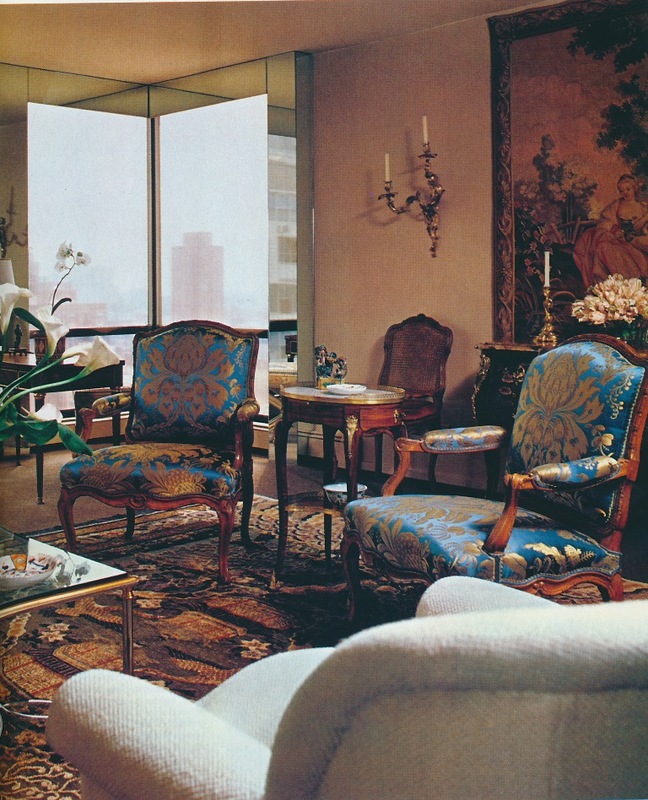 But those same plain walls and windows also mean that some visual softening is in order, something which can be bestowed by curvy fauteuils and commodes, comfortable upholstery, and patterned rugs. I think this Chicago apartment displays this beautifully. And finally, the antiques and art in this home are a lesson in quality and connoisseurship. 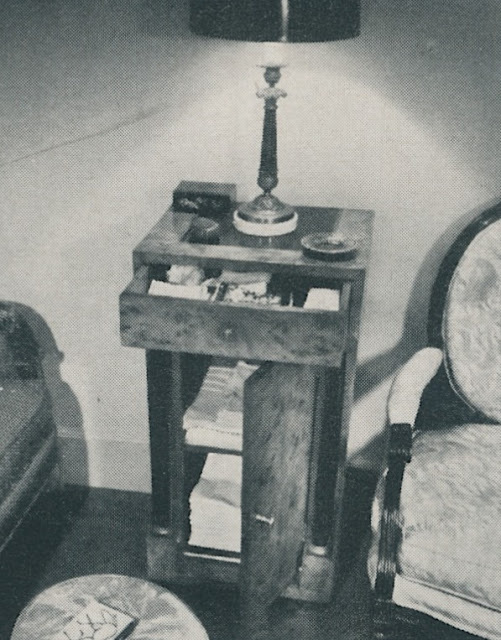 Furniture and objects appear to have been chosen with great care and an eye for beauty. And in a world where there seems to be so much filler, it's refreshing to see a collection, and a home, so exquisitely assembled. What a treat for me to find these 1974 Architectural Digest photos of Bill Blass's penthouse terrace...and what a disappointment to find that only two photos were featured. That's surprising, really, considering the article mentioned that this terrace, located sixteen stories above Manhattan's hustle and bustle, was one of the largest penthouse terraces in that city- at least, it was back in 1974. For those of you into gardening, I'll give you specifics of the terrace garden design. The walls were built of flagstone and rocks, which were then covered in ivy. Plant material included common honeylocust, weeping willows, shrubs of Japanese maple, wisteria, forsythia, and different forms of holly. Whew! Then there were flowers chosen for their white shades, which Blass preferred: impatiens; petunias; geraniums; daisies; begonias; and chrysanthemums. 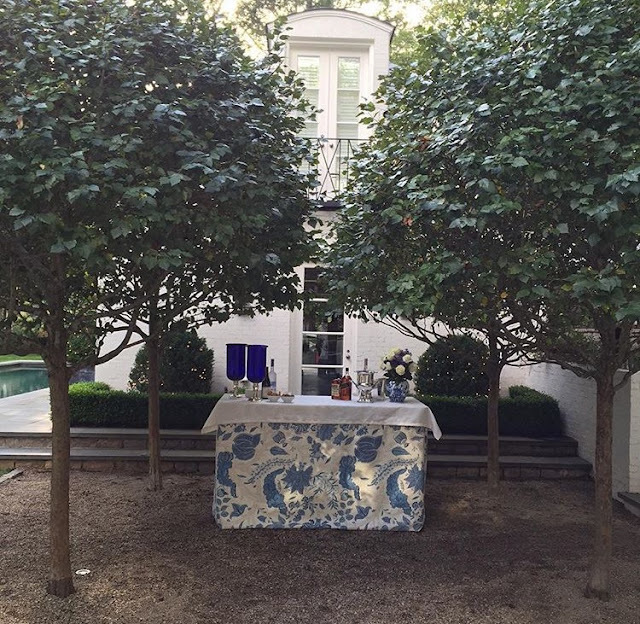 What I find especially pretty are the accents of blue, namely, those blue cushions on the antique French garden furniture and, though not prominent in these photos, blue canvas awnings. 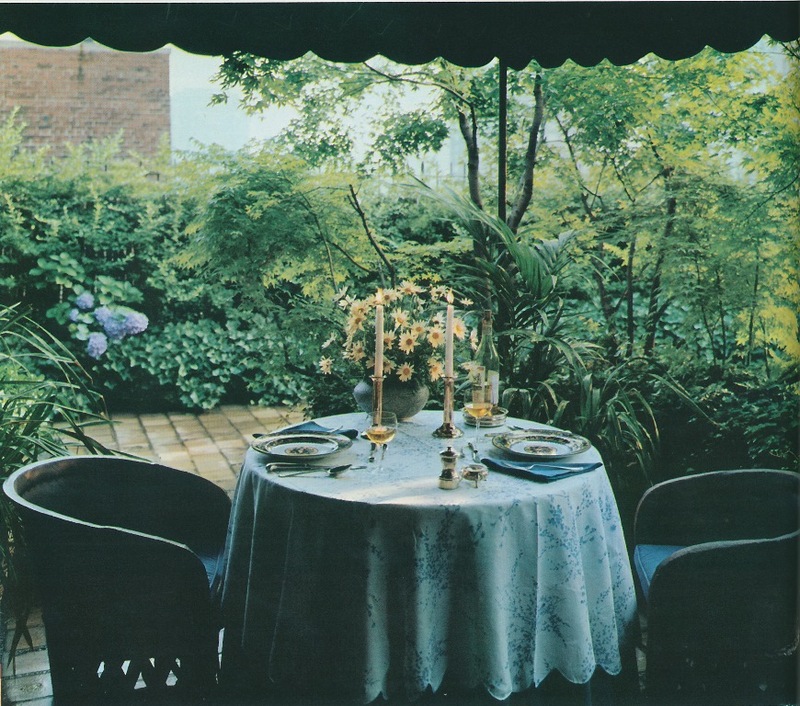 But, of course, what I might like best is that Porthault cloth on Blass's outdoor table, set with blue napkins, elegant china, sterling candlesticks, and, perhaps best of all, a simple vase holding a bounty of daisies. 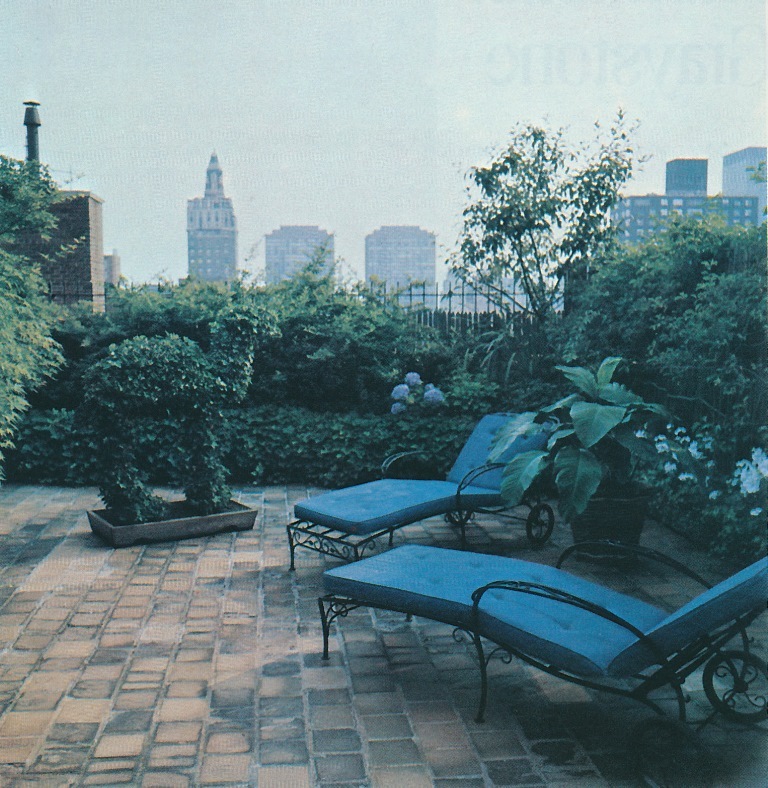 Photos from Architectural Digest, Jan/Feb 1974, Stan Ries, photographer. I'm feeling miserly because I only gave you two photos for the Blass post, so I thought I would show you another example of a lovely outdoor space, one which was set for a party. 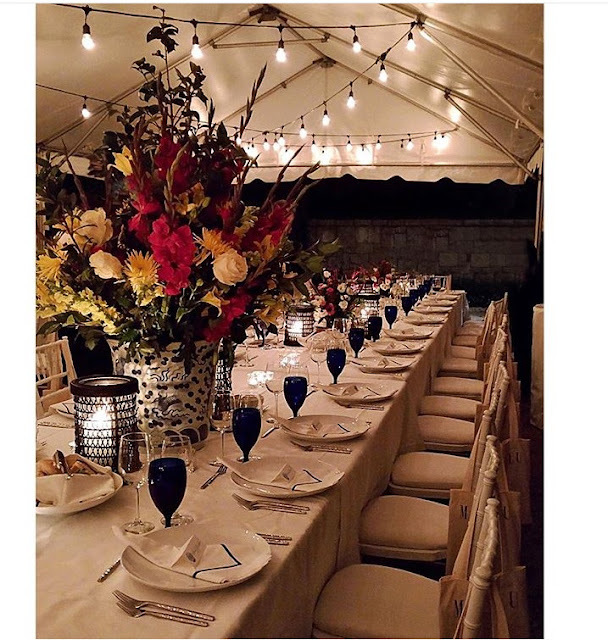 A beautiful setting, gracious hosts, delicious food, excellent company, and Nicky Haslam- those are the ingredients for a magical evening. Special thanks to Angela Patrick of Ainsworth-Noah for providing me with these photos. 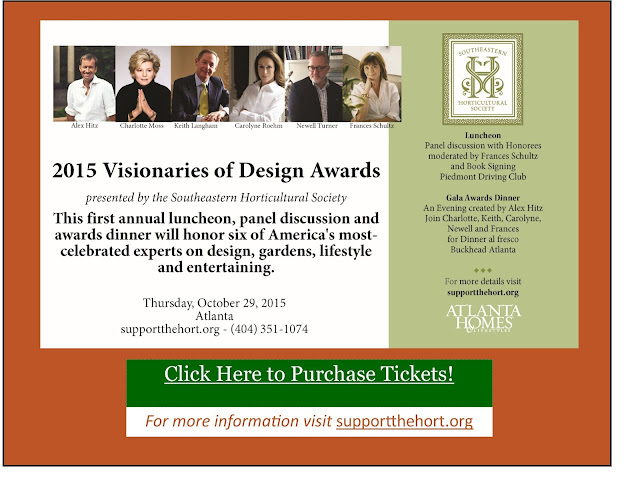 If you have not yet purchased your tickets to next week's Visionaries of Design Awards, consider doing so today. They are going quickly! 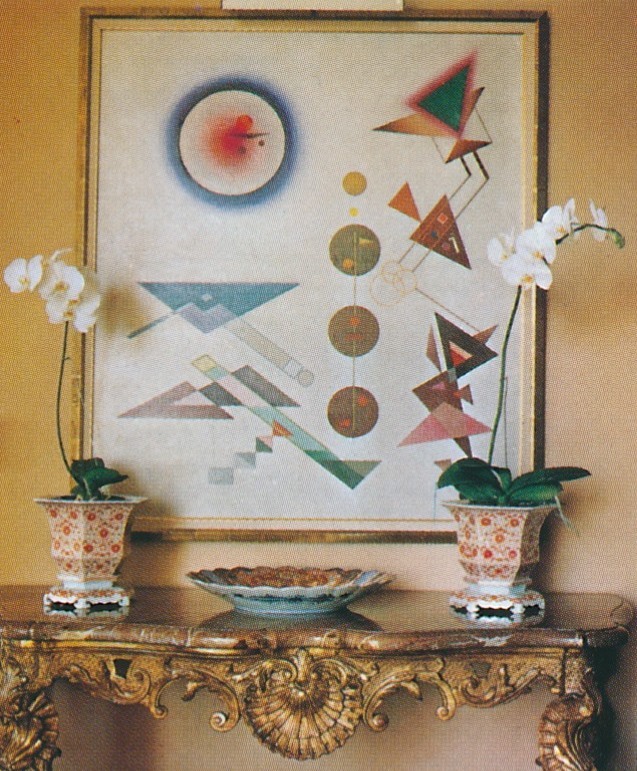 As many of you know, I covet my decades-old design magazines for their articles about now-obscure designers. (That's not to say that I don't enjoy finding articles about Draper, de Wolfe, and others of their ilk, but because their work has been so thoroughly covered in myriad books and articles, there just doesn't seem to be much of their work left to discover.) One of those now-obscure designers whose work always thrills me is James Amster, a particular favorite of mine. 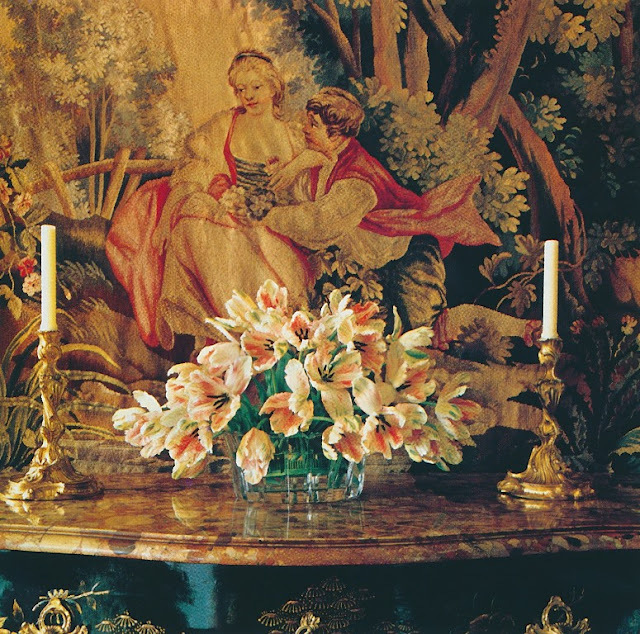 During the early and mid-twentieth-century, Amster was a well-known, Manhattan-based decorator who also managed both the decorating department and a home decorations shop at Bergdorf Goodman. But what Amster might be better remembered for today is his development of Amster Yard, a cluster of buildings turned bijou community of shops, offices, and apartments, which was located in the Turtle Bay neighborhood of Manhattan. I'll write more about Amster Yard in the near future. In the meantime, I want to show you this November 1958 House & Garden article about James Amster's dining room, located at his home in, yes, Amster Yard. 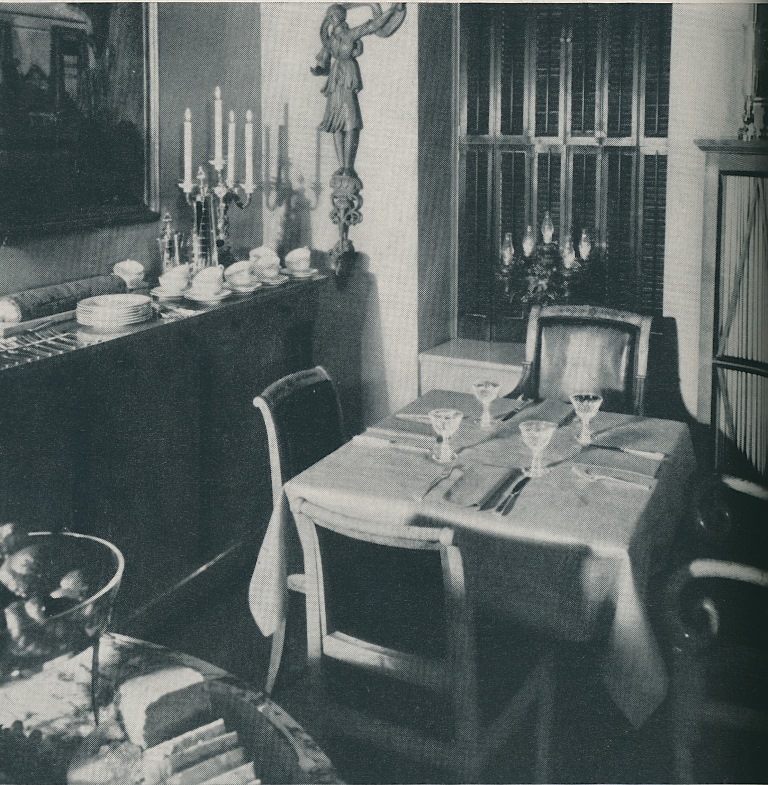 According to the article, Amster was an enthusiastic host, one who preferred small seated dinners or buffet suppers. And as the photos prove, Amster was also a highly-organized host, one who stored crystal and liquor in a bookcase, flatware and serving pieces in a sideboard, china in a closet, and linen in a side table. Talk about a place for everything and everything in its place! 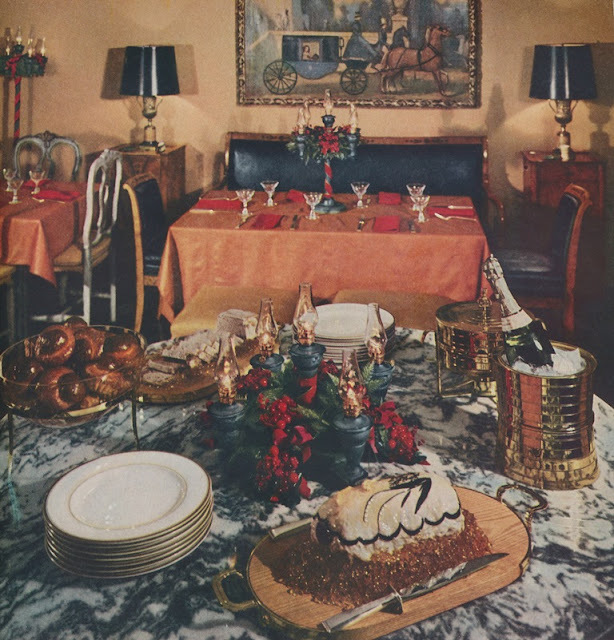 Because the photos appeared in the November issue, the dining room was also set for a festive buffet dinner, which included Galantine of Duck, Paté Maison, Hot German Potato Salad, and Brioches. You might be interested to know that these dishes were served from brass serving pieces designed by Tommi Parzinger. (You can see the buffet table in the top photo.) 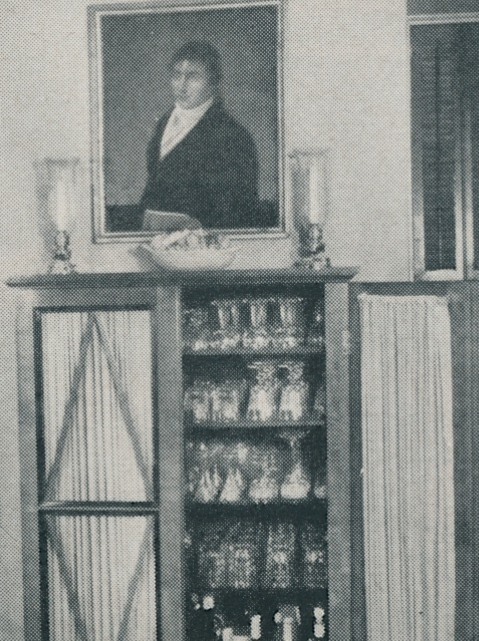 Dessert, namely, a Chocolate Roll, was to be served from the sideboard, placed alongside dessert plates and coffee cups and saucers. 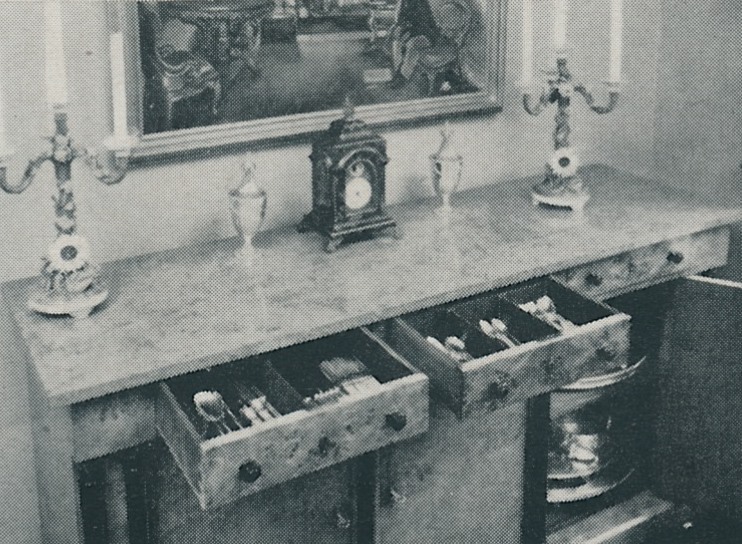 To be perfectly honest, Amster's dining room is not my favorite example of his work. 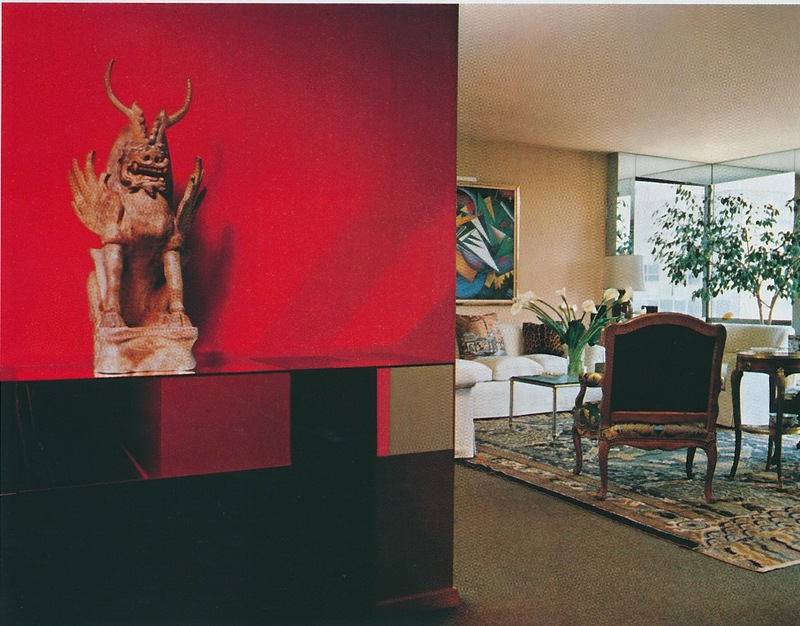 Other rooms in his apartment, chiefly his living room, are more representative of his impeccable style. 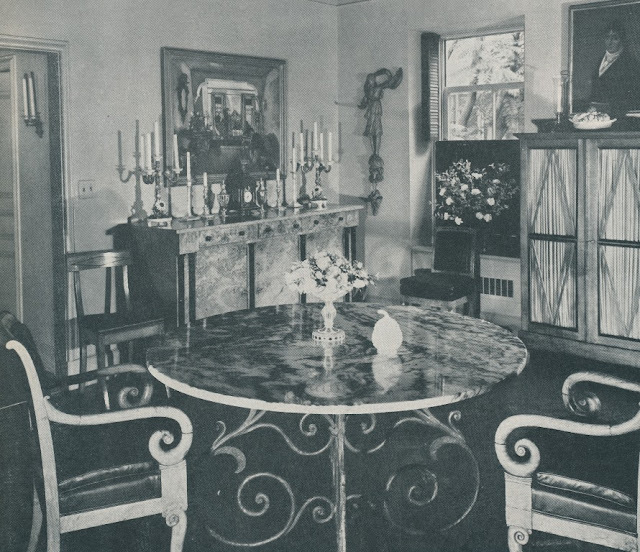 But what his elegant dining room does represent is the kind of mature, sophisticated taste that, although once prevalent, has now been mostly lost to time. I want to call your attention to two new fabric collections, both of which were designed by friends. The first is by Steve McKenzie, who, along with wife Jill, is proprietor of the Atlanta home furnishings shop, Steve McKenzie's. But retailer is just one of his many titles. 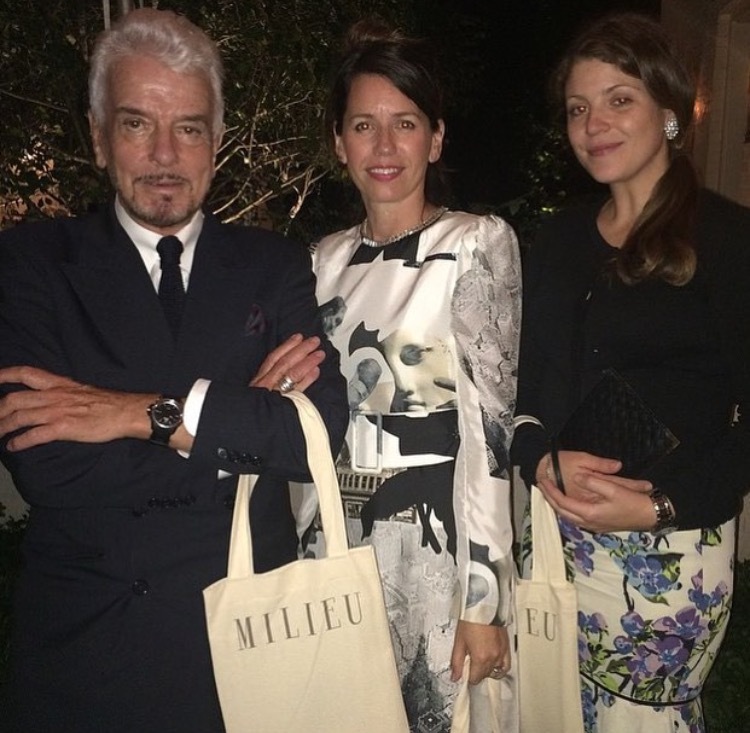 Steve is also a talented artist, interior designer, and now, fabric designer. 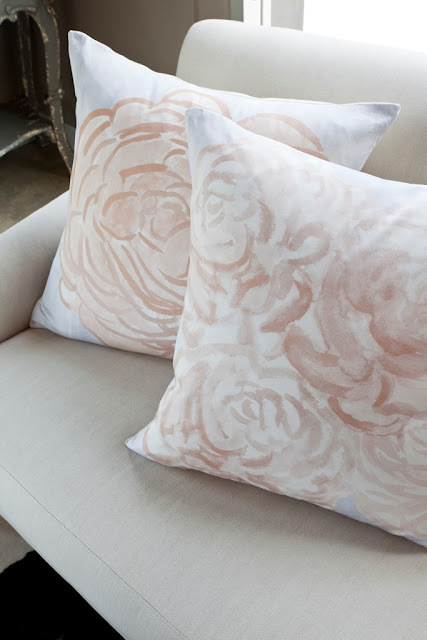 What I like about Steve's fabrics is that their brushstroke designs capture Steve's artistic skills. 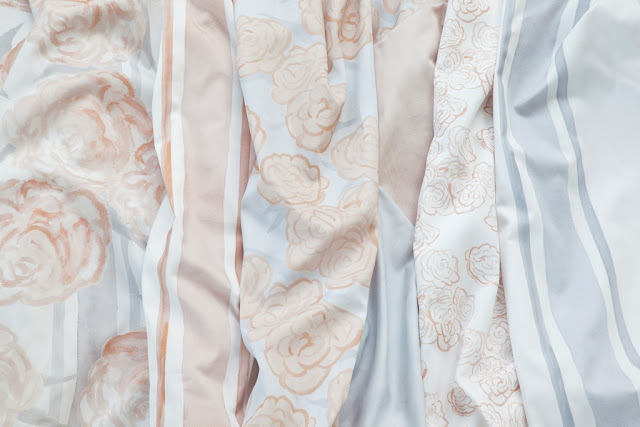 Flowers (see above), stripes, and swirls lend a painterly touch to these versatile fabrics. 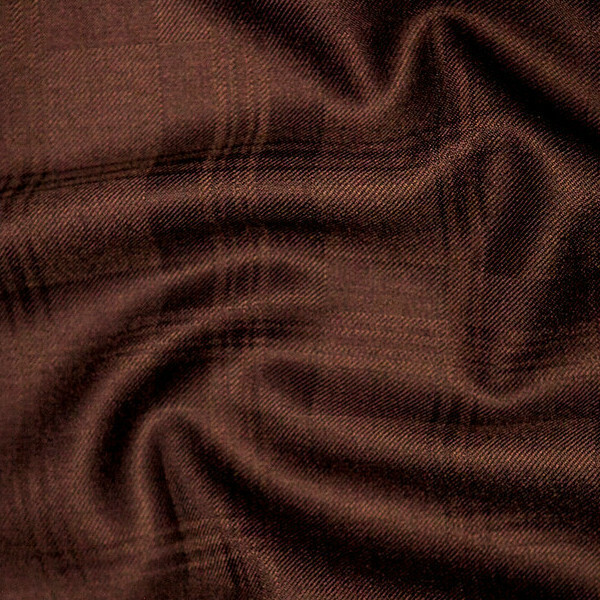 Steve's fabric collection is available through his shop as well as numerous designer showrooms. The other collection I want to mention is that of San Francisco designer and blogger, Scot Meacham Wood. 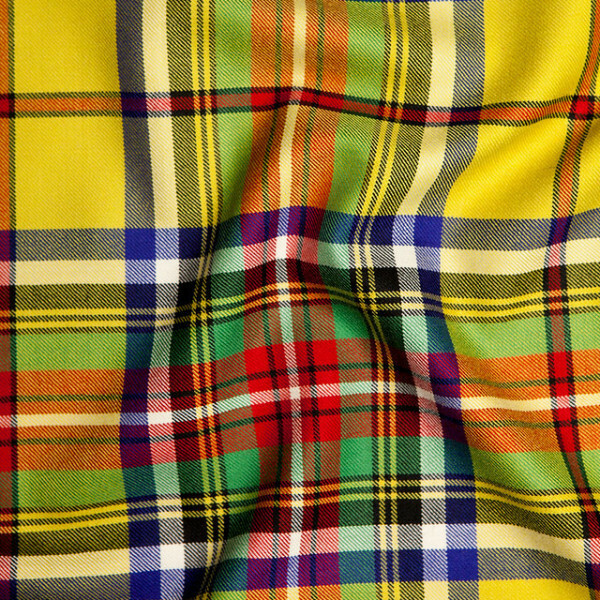 Perhaps it's no surprise that the man whose blog nom de plume is "Tartan Scot" would make his textile debut with a line of Scottish tartans. Part of Scot Meacham Wood Home, the fabric collection also includes tweeds, tattersalls, and trims. 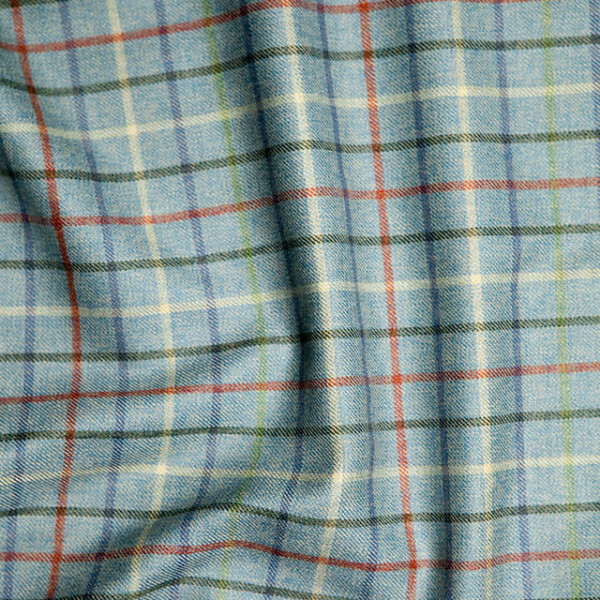 With cold weather just weeks away, Scot's woolen fabrics are just the thing to warm your surroundings. 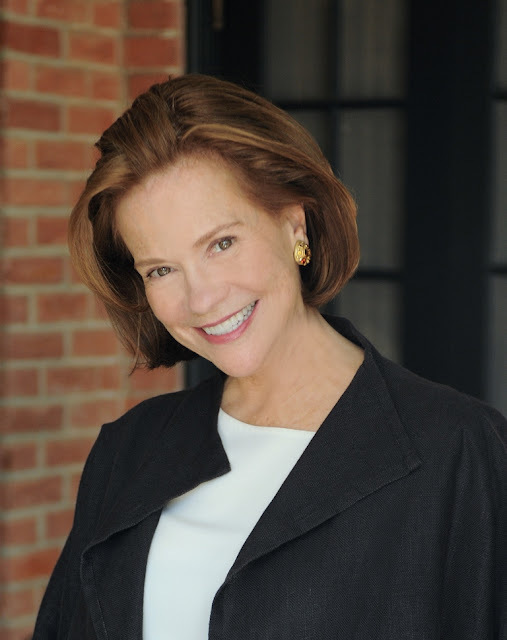 The collection is available to purchase from the Scot Meacham Wood Home website. Rooms for living...isn't that the desired outcome of decorating? And yet, how often do we see rooms that don't feel or look very livable? 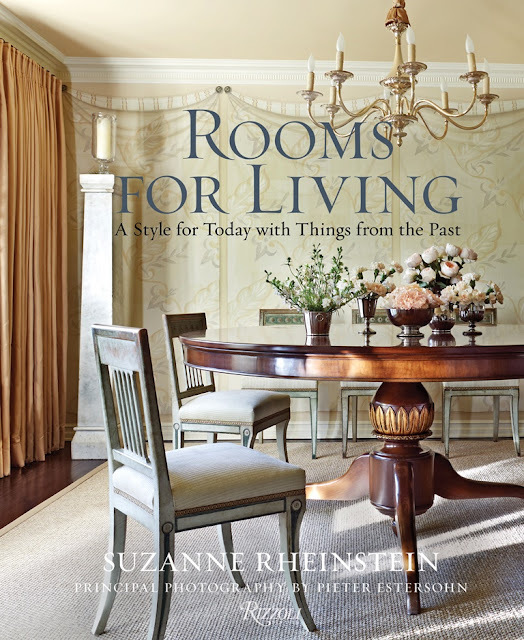 It seems appropriate, then, that Suzanne Rheinstein, a designer known for creating comfortable and gracious interiors, would christen her latest book, Rooms for Living. 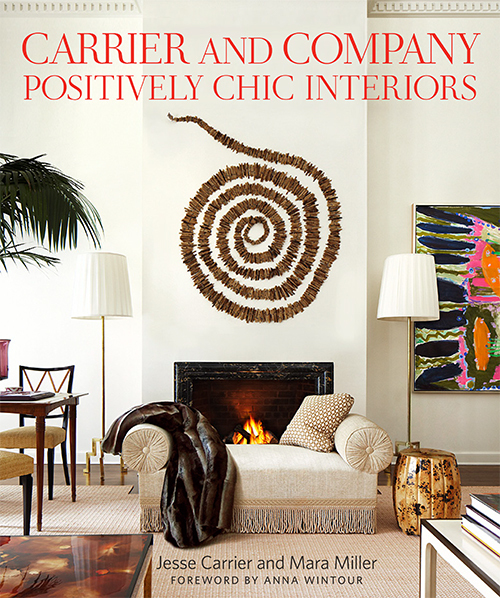 Peruse her work in this inspiring book, and you'll see that her rooms are never contrived nor affected. Instead, they are big, beautiful invitations for living, offering themselves up as spots for relaxing, for example, or entertaining. 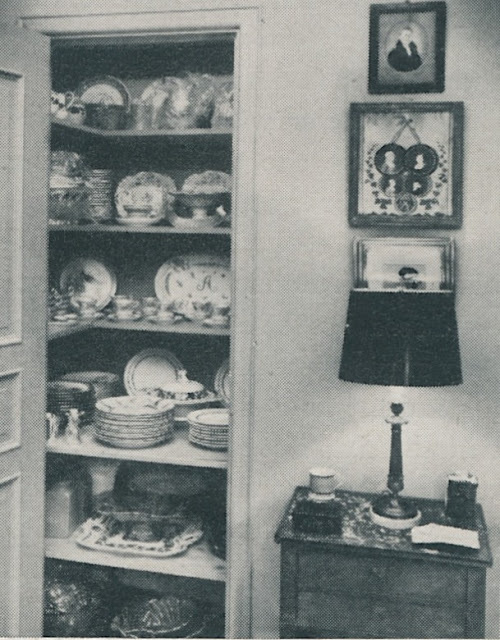 Like her previous book, this one is lavished with photographs of delightful interiors. Seeing the range of the designer's work reminded me that as proficient as she when working in the traditional style, Suzanne can be quite modern, too. And if you assume that this book is solely a picture book, think again. Suzanne dispenses sound decorating advice in the book's text, which I found quite helpful. 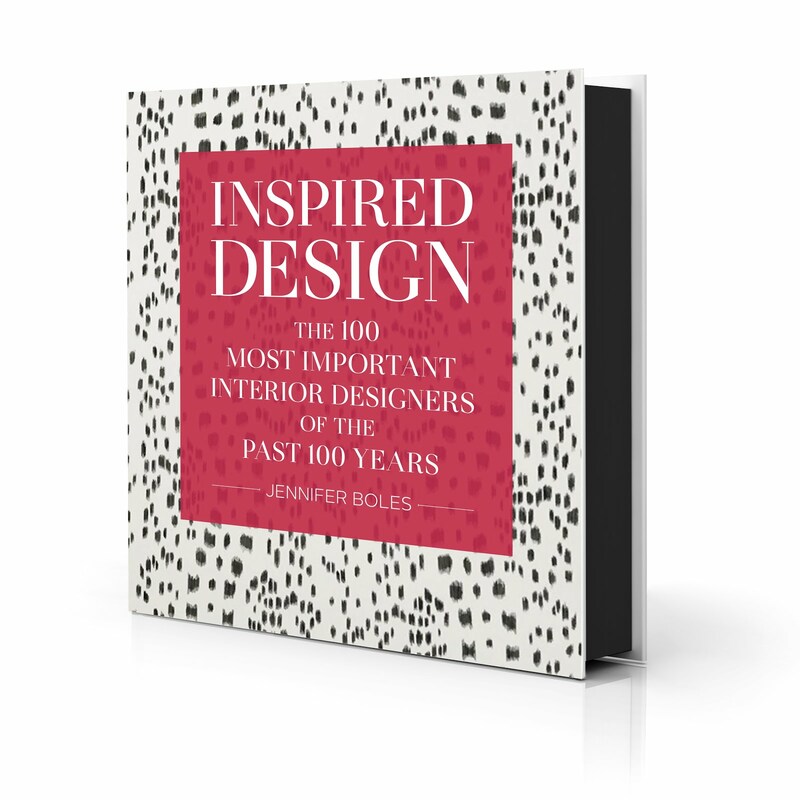 Those of you who are fans of the designer don't need my encouragement to buy this book, because you already know that it will be a worthy addition to your library. 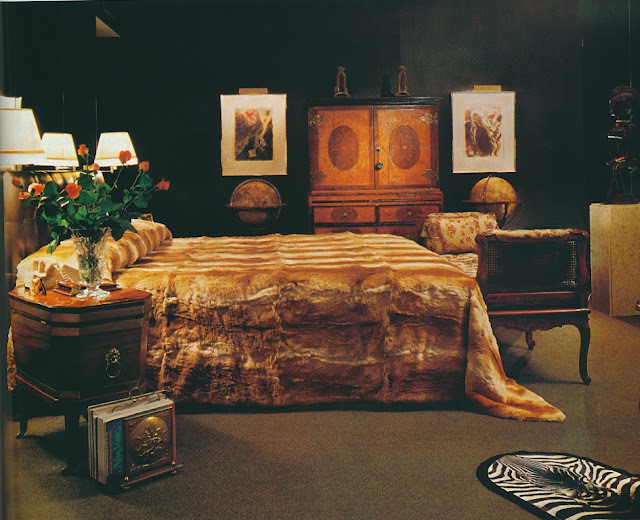 But to those of you who are not quite as familiar with Suzanne's work, I urge you to take a look at Rooms for Living. Doing so just might remind you that rooms should indeed be designed for living. © Rooms for Living: A Style for Today with Things from the Past by Suzanne Rheinstein, Rizzoli New York, 2015. Images from Room for Living © Pieter Estersohn.